Mr. Reid is Pacific Trial Attorney’s Managing Partner and was the second attorney to join the firm. Mr. Reid’s practice focuses on commercial litigation, with an emphasis on creative resolution of complicated disputes. Mr. Reid has secured positive verdicts and settlements for his clients. Mr. Reid has significant trial experience; in a recent trial, he obtained a complete defense judgment after a lengthy trial of a racial discrimination case against a prominent restaurant in which the plaintiff sought nearly $10 million dollars as damages. Mr. Reid acted as co-lead counsel in that case and delivered closing arguments. From 2013-2017, Mr. Reid has been identified as a “Rising Star Super Lawyer” by his peers—a prestigious award recognizing the top 2.5% of attorneys in California under age 40 for excellence in the practice of law while maintaining high ethical standards. 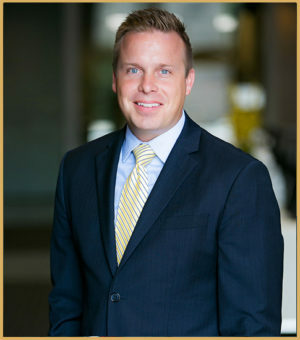 In 2015 and 2016, Mr. Reid was honored to be recognized as one of the “Top 100 Up-And-Coming Super Lawyers” in Southern California and one of the “Top 25 Up-And-Coming Super Lawyers” in Orange County in 2015, 2016, and 2017. Mr. Reid previously worked for the Honorable Judge Oswald Parada in the U.S. District Court for the Central District of California. Mr. Reid sits on the board of Fresh Start Charity—a non-profit organization that provides over 500,000 meals each year to less fortunate individuals and families in the Orange County area. Mr. Reid volunteers as a soccer coach and youth leader in his community. He speaks fluent Spanish and enjoys playing competitive soccer and spending time with his wife and children. We are business trial lawyers, not just litigators. In recent years, we have tried over two dozen cases to verdict – and we have won over 80% of those trials. ©2017 Pacific Trial Attorneys. All Rights Reserved. Web Design by Web Presence, Esq. Note: No goods or services are available from this website. It is for informational purposes only.